You'll want to arrange your flights so that you arrive in Iceland (airport code: KEF) as early as possible on the first day, preferably before 10:00 AM. We will arrange to pick everyone up at the airport at the same time. You should arrange to depart on the final day after 4:00 PM to ensure you have ample time to enjoy the bicycle tour and hot springs. 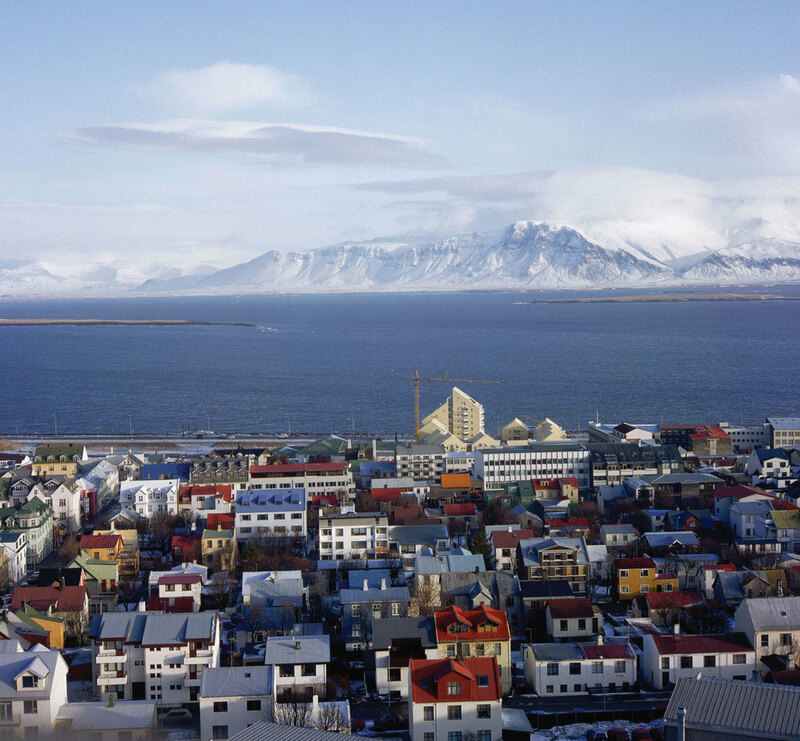 Today is our first day in Reykjavik, a historical city with a population of just 120,000 people. Founded in 870, it was the first recorded settlement of vikings in Iceland. Home to a population that prides itself in hospitality, it’s buildings are as colorful as it’s culture. This is truly a magnificent place to spend our first and last night’s. We will have dinner as a team and discuss our itinerary for the coming trek through the highlands. We can discuss gear and how to sort our packs, and enjoy each others company as we prepare for our trek. After a hearty breakfast, we will have a quick briefing regarding equipment and the trip before we head out of Reykjavik. 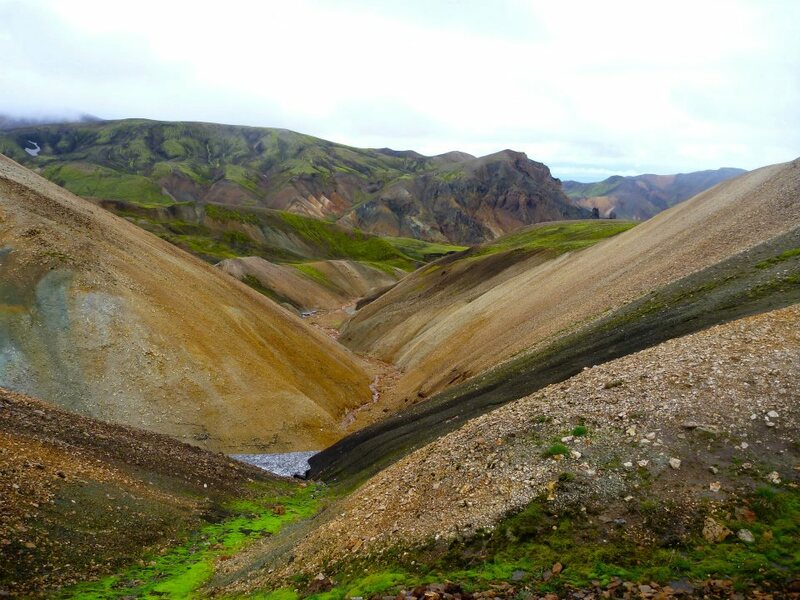 On our sightseeing journey to Landmannalaugar we will travel through the Þjórsárdalur valley offering beautiful landscapes. From there we will drive into the highlands, passing Mt. Hekla, the most active volcano in Iceland. It last erupted in the year 2000 and has been called the gateway to hell. We will have lunch as we arrive in Landmannalaugar (approx. 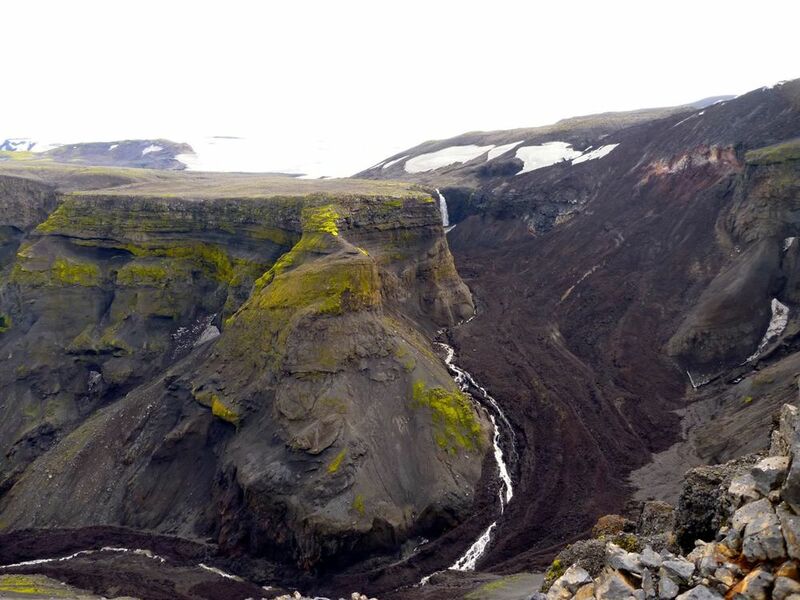 600 m above sea level) we will make a stop at Ljótipollur crater and hope for a great view over the highlands, spotting Iceland´s biggest glaciers. 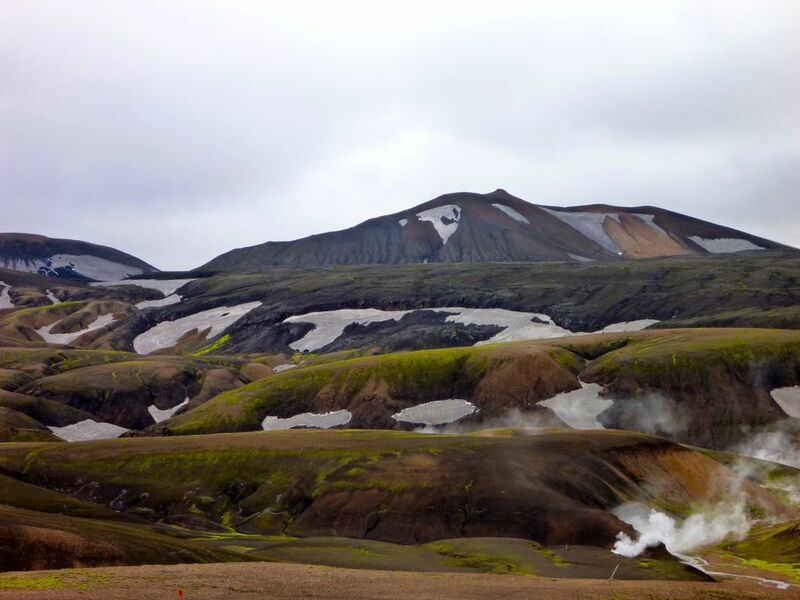 We begin our Laugavegur journey from Landmannalaugar, the thrid largest geothermal zone in the world. 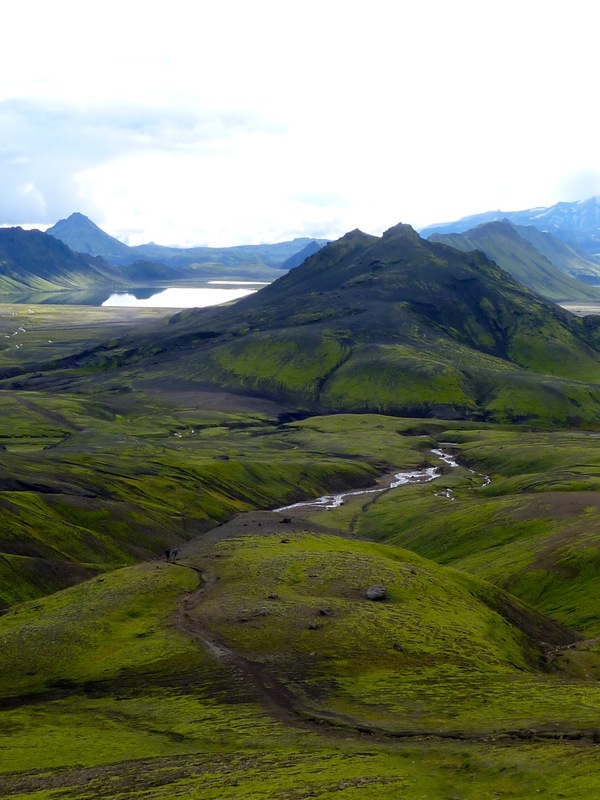 After heading south into the rough lava fields of Laugahraun we will ascend the beautiful hills by the colorful mountain Brennisteinsalda and onto a plateau of golden mountain tops. Ancient rivers and streams carve the landscape so we will trek in and out of small ravines throughout the day. At this point we have reached a rather high altitude and therefore you can expect snow fields that we’ll have to traverse. Our goal for the day is to reach the Hrafntinnusker campsite. Obsidian rock scattered throughout gives this camp a mystic appearance. When the weather permits the view from our tents is amazing. 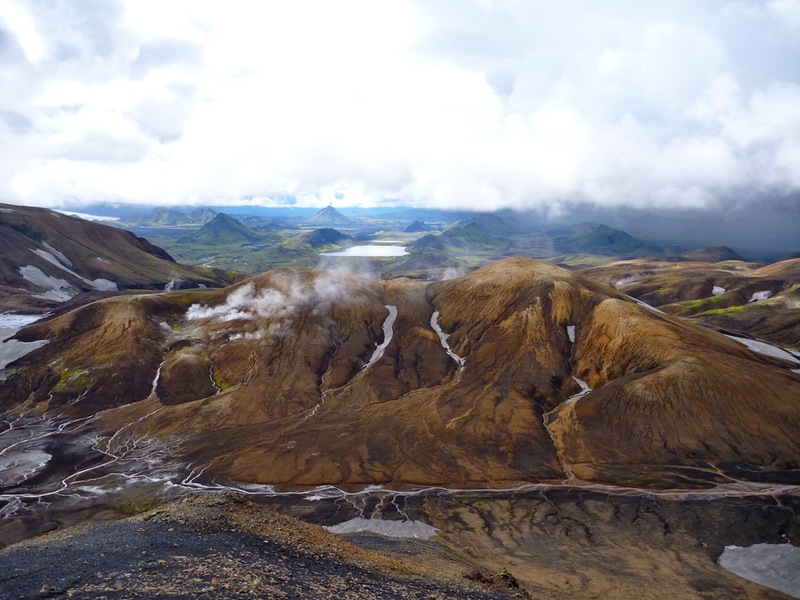 Above 3,000 feet there is nothing much but bare rocks and wasteland, the immense Icelandic highland desert. Along the hills of Reykjafjöll we descend through gullies until we get to Jökultungur. Hundreds of steaming hot springs and mud pools will line our path. With the changing landscape we face dark, tuff mountains and glaciers. We also start to see some resilient plant life, unique to this area. We decend down steep slopes into a green oasis, a pleasant contrast after the rough landscapes behind us. From there we’ll walk leisurely to the campsite at the northern shore of lake Álftavatn. Today, we cross Brattháls hill and head east for Hvanngil gorge. We will pass at the foot of the green iconic volcano of Stórasúla before entering the black deserts of Mælifellssandur. Heading towards another ancient and verdurous volcano, the Hattfell, we enter the Emstrur region where farmers used to graze their sheep in summer. There we have to cross the Bratthálskvísl River on foot. Soon after that we get to the Kaldaklofskvísl River, which we cross via bridge. From there we head for the hut and campsite of Emstrur and crossing the river of Bláfjallakvísl on our way. Crossing between two sandy hills we will soon see our destination for the night. If people are up for a nice evening walk after dinner we can take a peek at the unbelievable Markarfjlótsgljúfur canyon. The canyon is 200 meters deep and through it flows the powerful Markarfjót River. The day starts with a crooked path down to Syðri Emstruá River which we’ll cross on a bridge. While crossing the river we’ll have to be very careful, as this is one of the riskiest places on the way. After our heroic crossing we’ll head south to an area called Almenningar. The landscape now starts to change once again and we’ll be seeing peaceful streams covered in arctic birch and flowers. More refreshing river crossings, a bit more demanding than before (Þröngá) is necessary but that’s fine because we’ll be experts by then. On the other side of this river we have left Almenningar behind and entered Þórsmörk valley (the Valley of Thor). From there we have a 40 min walk to Langidalur hut in Þórsmörk and from there on to Básar camp where we’ll spend the night. This part is wonderful as vegetation has spread over the area and Þórsmörk is undeniably one of the pearls of Icelandic nature. Today we will have a hearty meal in preparation for our longest and most challenging leg of the journey. Leaving Þórsmörk we cross the river Krossá on one of several footbridges entering the magical landscape of Goðalönd – the abode of the Gods. Known as the valley of the Norse god of thunder, Thor. Nesting at the foot of two glaciers an incredible landscape of ridges and cliffs littered by flowers and alpine grasses. We continue up the hills leading to the pass of Fimmvörðuháls, walking along the Kattarhryggir ridges with views to the impressive mountain of Útigönguhöfði up to Morinsheiði heath. A the end of the Morinsheiði plateu we enjoy the view of the lava stream that flowed down from the famous Fimmvörðuháls volcano eruption in March and early April 2010. 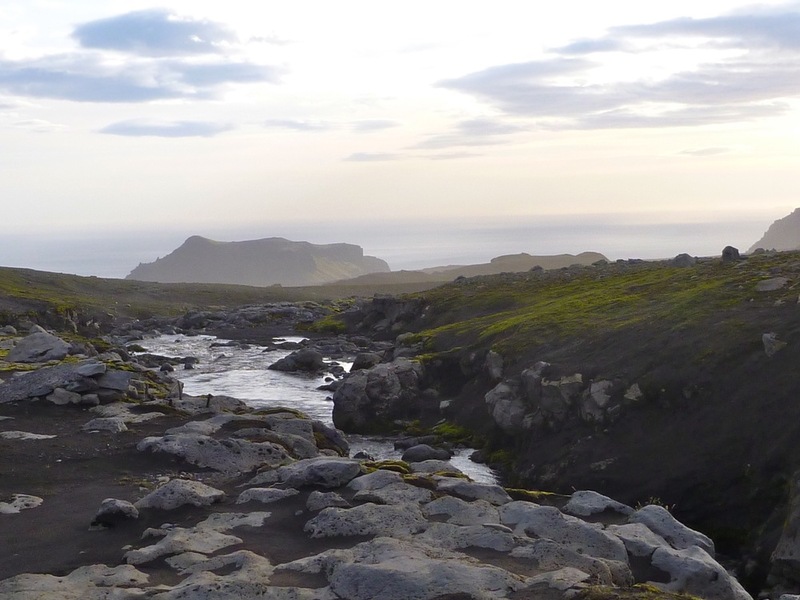 Hiking through lava fields, you will not only be able to touch the new lava, see brand new craters, mountains and the now cooling lava falls, but also enjoy vast sweeping views of the of one of the most beautiful highland vistas in Iceland. Reaching the snow covered high point of our trek provides amazing views over two of the worlds most powerful glacier covered volcanoes, the Eyjafjallajökull and Mýrdalsjökull. Our descent through lush, green highlands and seemingly endless waterfalls lend to magnificent views of the north Atlantic Ocean, and the southern Icelandic Coastline. Before reaching the coastline we will descend the magnificent Skógar waterfall, standing 180 feet tall, it’s powerful flow can not be described, and can only be experienced. Skógar falls is a truly epic ending to an unforgettable journey through the Icelandic Highlands. Tonight, we will welcome a warm hotel room, with cozy beds and a feast made for a king (or Viking), relishing in an incredible accomplishment that few have shared. However, we must get a good night’s sleep for tomorrow brings even yet another day of extraordinary adventure. Today we will take you to the frozen glacial tongue that is Sólheimajökull. It is a magnificent phenomenon, a rugged, raw and ever changing hub of ancient frozen water. We will explore the crevasse riddled outlet glacier with its amazing ice formations, sink holes and jagged ridges accompanied by an experienced glacier guide. Along the way we will find an ice wall on the glacier and try our hand at ice climbing. We will provide you with all the tools you need: ice axes, crampons and safety lines, making sure you are very safe as you brave the heights. No previous experience is necessary to try your hand at ice climbing. After an exhilarating day on the glacier, we will transport back to Reykjavik for our last night in Iceland, and a delicious celebratory meal. 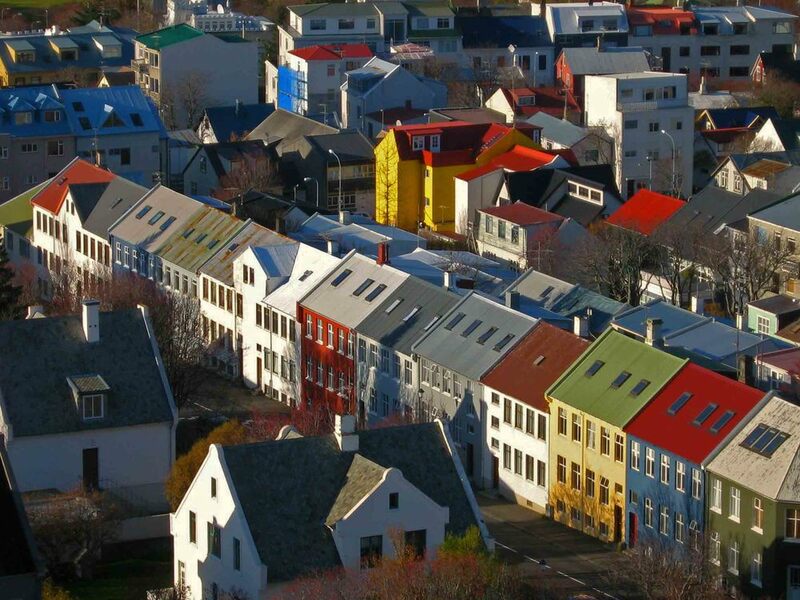 On our last day in Iceland we will experience Reykjavik via bicycle, for a full historical tour of this ancient city. The bike route will be determined by the fitness level and interests of the group and may include but is not limited to the following places; Reykjavik’s south facing beach - Ægissida with a supreme view over the ocean to the seat of the president of Iceland; a ride through the University of Iceland campus and a stop at the statue of Sæmundur the Wise, Nordic House, Reykjavik’s only Catholic Cathedral on the outer rime of the old town, the Parliament building and what is probably the smallest state Cathedral in the world (in this case Lutheran). We will also bike through the Old Harbour and maybe catch a glimpse of the very worn out and old whaling boats that have taken up permanent occupancy there. Then we will cruise along the Tjörnin City Pond and the most luxurious street in Reykjavik, the Tjarnagata and City Hall. We also pass the home of some of Iceland’s most famous people and your guide will share stories of them and the history of this small, cozy capital by the North Atlantic Ocean. After our morning bike tour, we will have lunch and prepare our belongings for the journey home. There’s no better way to board your flight home than to spend your last afternoon soaking in the hot springs of the famous Blue Lagoon. Give yourself a silica mud mask, float in the mineral rich waters and revel in what has most assuredly been the trip of a lifetime.